Sheridan, Thomas E , “Arizona: A History ,” Arizona 100: Essential Books for the Centennial, accessed April 21, 2019, http://speccoll.library.arizona.edu/online-exhibits-dynamic/az100/items/show/191. In this sparkling and insightful interpretive history, Sheridan traces the state’s evolution from frontier settlement, through the emergence of an extractive economy, and its post-WWII transformation into a Sunbelt poster child. 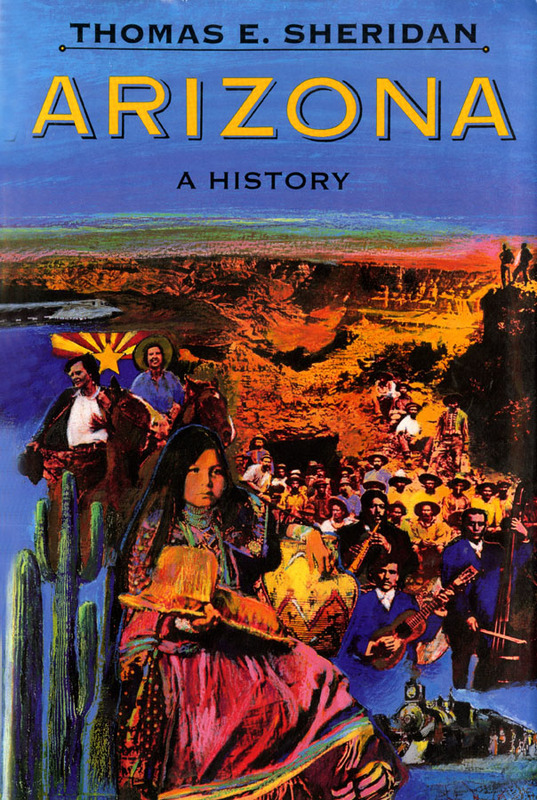 Sheridan, who has thought long and hard about what it means to be an Arizonan in a national and global political economy, provides readers with a cogent and useful framework for connecting people and events in the state’s past along with a blueprint for charting the future. xvii, 434 p. : ill., maps ; 25 cm.